Better smartphone cameras and more affordable high-quality cameras have made photography a popular hobby among travelers. It’s easy to go out and start snapping photos of beautiful sights, but you (and your Facebook followers) will benefit from you learning a few photography tips. 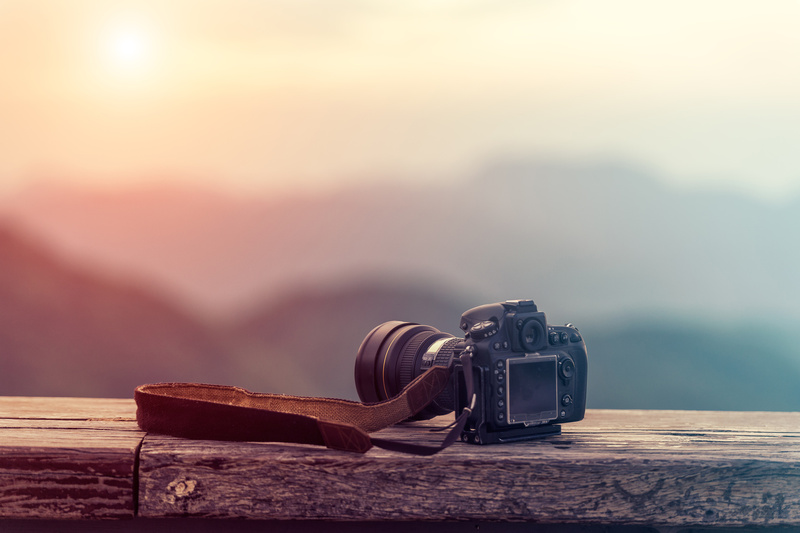 These simple tips will help advance your photography skills on your very first trip. The No. 1 one way to advance your photography skills is to get out and take photos more often. Make time for working on your skills rather than squeezing in photo time between tour stops and travel activities. When in safe places, wander through alleys, eat street foods, and do things that most tourists don’t do to get the most unique and heartfelt shots. When admiring landscapes, think about what kind of feelings they stir inside you. Find a way to show that emotion with your photo. For example, if the ocean’s crashing waves make you feel at peace, focus on the brighter, calmer parts of the scene, including the sand and bright, blue sky. If the crashing waves are causing fear, photograph them in darker, stormier conditions to show how they make you feel. There’s no doubt you’ll want to snap photos of your friends and family while traveling with them. However, you can do far more than simply take pictures of them standing in front of monuments and attractive landscapes. Take the photo far enough away from your friend to show the context of the photo. Even better, try to capture your friend’s expression at the moment the photo is taken. This often means catching someone candidly enjoying himself (or herself). RVs encourage you to travel more often, and with so many affordable RVs at Fretz RV, you can travel more affordably too. Find us online or stop in and see us at Fretz RV in Souderton, Pennsylvania, today.